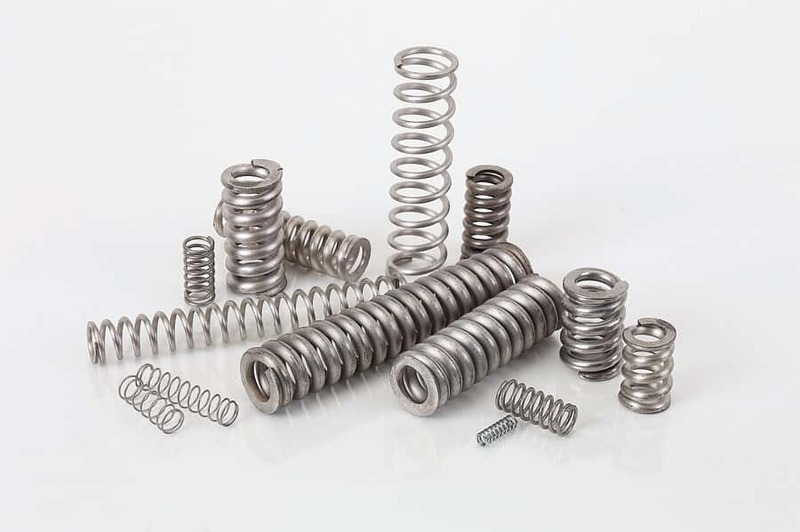 Precision Metric Compression Springs fit over standard metric sized rods and into standard metric sized holes. These parts are manufactured to strict DIN 2098, Grade 2 specifications. Music Wire is DIN 17223, Class 3 (C) per 1.1200. Stainless Steel is DIN 17224 per 1.4310. Ends are closed only on wire sizes 0.8 mm and below. Ends are closed and ground on wire sizes 1.0 mm and above.